The season finale is here, pitting King Horic against Earl Ragnar. Will Floki betray his old friend? Will Ragnar embrace Christianity? Who will win the final battle for Kattegat? Find out those answers and more on another great episode of Vikings. On this episode of The Vikings Podcast we’ll review and recap episode 10, The Lord’s Prayer. Then we’ll look at the history presented in the show and see how it compares to actual history. 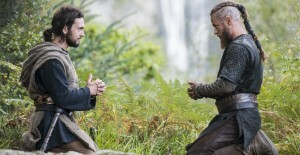 The final showdown between two Viking leaders is at hand when Ragnar and King Horik return to Kattegat. Ragnar has placed his trust in those who have stood by him and the time has come for new alliances to be made.